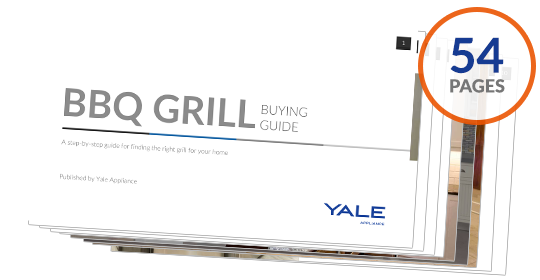 When I started at Yale in 1986, there wasn't much choice for BBQ grills. You bought a $300 grill to replace after a few years. 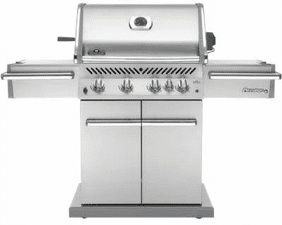 Then the professional grill with companies like Viking, Lynx and Wolf were marketed with solid stainless construction and high BTU output. So 10 years ago, you had your $300 grill or a better grill at about $4,000 (give or take). 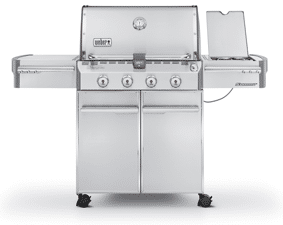 Then Weber popularized a quality, well constructed grill between $420 to $2,500 and really dominated the whole category. It was cheaper to buy a Weber once rather than a cheaper grill every few years. At the same time, it is a good, less expensive substitute to the expensive pro options. Weber for the last few years has had very little competition. Until Now. Napoleon is a large Canadian version of Weber with really interesting features at a decent price. Let's see how they compare. It's almost a dead heat...almost. Weber is a known commodity and made in the USA. The Napoleon, however, has a better side burner, which doubles as a sear zone. You can boil or cook on this burner, whereas you can only boil on the Weber. Napoleon also has the better warranty at 3-10 years versus 2 for the Weber. It is a significant difference, as it will be tested in New England. 2012 was our first year selling Napoleon. It's a great grill, but the Weber cooks a bit more evenly. Napoleon's repair rate is an excellent 10.3% in the first year, which is good enough to be in our top 5. However, Weber is number one at an unbelievable 1.3%. If you REALLY like to BBQ, sign up for our BBQ newsletter. It is written by a professional griller with products, tips and some very different ways of using your grill.